The Rev. 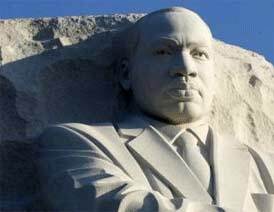 Dr. Martin Luther King, Jr. was many things to many people, yet central to his identity was his role as a Christian pastor and religious leader. Religious Leaders gathered in Durban, South Africa in November resolved to begin the process of forming the South Africa Inter-Religious Council (SAIRC) and the Southern Africa Inter-Religious Network (SAIRN). H.E. Wilfrid Cardinal Napier, OFM, Chairman of the KwaZulu Natal Inter-Religious Council, (Religions for Peace KwaZulu Natal) urged the religious leaders to unite together to address the challenges facing South Africans, par¬ticularly those including justice and human dignity issues. Speaking during the meeting, Dr. Mustafa Y. Ali, Secretary General of Religions for Peace Africa, urged religious leaders to form a sustainable national interfaith body and a network for the Southern African countries, through which issues requiring urgent responses from religious leaders, including governance, climate change, HIV/AIDS, peacebuilding and conflict prevention, could be addressed in common action. "Say Peace", a two-day workshop on ‘Peace and Conflict Resolution,’ organised by the Interfaith League against Poverty (I-LAP), concluded on Saturday evening in which workers and volunteers from all regional offices of the organisation participated. The objective of the training was to create awareness about the conflicts existing in the society on the basis of ethnicity as well as religion, which are causing hatred and violence and the ways and means to defuse and dissolve those conflicts by promoting tolerance, respect for humanity and harmony to bring about peace in the society. Leaders of the Religions for PeaceGlobal Interfaith Youth Network have lobbied government representatives of their respective countries to do more to realize a full implementation and universalization of the treaty to ban landmines during a conference in Phnom Penh, Cambodia in December. Benedict XVI's invitation to promote peace by working with the youth is right on target, according to the Jewish founder of a New York-based organization that aims to reconcile religions. Gary Krupp, founder of the Pave the Way Foundation, spoke with ZENIT on the occasion of the annual day of Jewish-Catholic dialogue, celebrated in Italy today. ZENIT: On the occasion of the annual day of dialogue with Judaism organized by the Catholic Church in Italy today, could you explain the aim of the Pave the Way Foundation, which you founded? Rabba Kaya Stern-Kaufman of Great Barrington MA founded The Interfaith Peace Chant. The Chant group meets monthly at the Quaker Meeting House in Great Barrington,MA to pray together from all faith traditions, for Peace. We have had spiritual leaders attending and leading chants from the Christian, Sufi, Sikh, Native American, Buddhist and Jewish traditions so far. The vision statement is:The Interfaith Peace Chant honors the integrity of all faith traditions and welcomes people from [Rabba Kaya Stern-Kaufman, founder of Interfaith Peace Chant.] all faiths to express their unique voice for peace. We recognize that focus on peace through prayer and chant brings a sense of inward and outward peace for oneself and the world. Joining together each month as one community, with a focus on peace, we honor our diversity and our unity through this act of spiritual activism. Please join us, as we deepen our commitment to manifesting peace in our selves, in our community and in the world. MUNCIE, INDIANA – Eradication of poverty has long been a quest among religious groups. Caring for the environment not so much. Newly formed group Hoosier Interfaith Power and Light, part of the statewide chapter, is changing that thinking. The group was started with the intent to increase awareness of environmental issues. That means promoting energy conservation, renewal and efficiency and sustainable living. Still in infancy, Hoosier Interfaith Power and Light will have a workshop Saturday for interested individuals to explain the faith and environment connection, founding member Jennifer Rice-Snow said. Rice-Snow and her family attended the initial meeting of the state chapter, and from there, she started a creation care group at her church, High Street United Methodist. She then reached out to people outside of her congregation. Scarboro Missions is proud to announce that the Golden Rule texts from 13 religions have been translated into Urdu and can be downloaded free of charge from the Scarboro site. The translation was done by Shahid Akhtar, an interfaith activist in Mississauga, Ontario, Canada. Close to one billion people understand Urdu. Its use is concentrated in South Asia but Urdu-speaking people reside in countries around the world. The publication of these texts in Urdu is an effort to further universalize the already universal message of the Golden Rule.